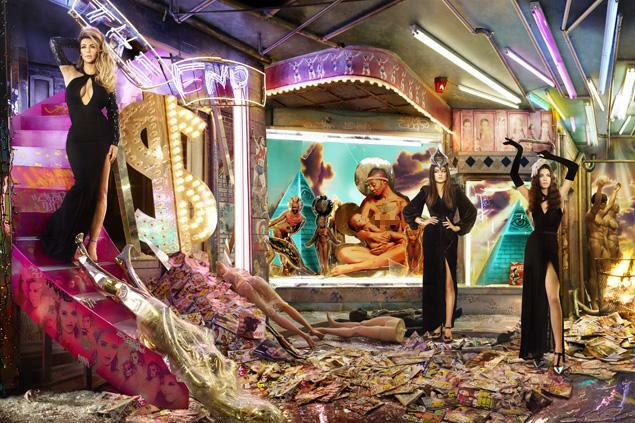 The Kardashian’s reveal a Christmas Card every year, most of them extravagant and ridiculous. This year’s 2013 Kardashian Christmas card has an odd twist to it. It appears they are in some kind of an abandoned casino and it almost appears they are wax figures like at Madam Tussauds was museum. Bruce Jenner may have the oddest part in this years card, where he is seen trapped in a cashier booth.